a well furnished hotel with modern interiors. Hotel Prince Plaza is a property located in Girdhari Lal Marg in Naraina Vihar, New Delhi. 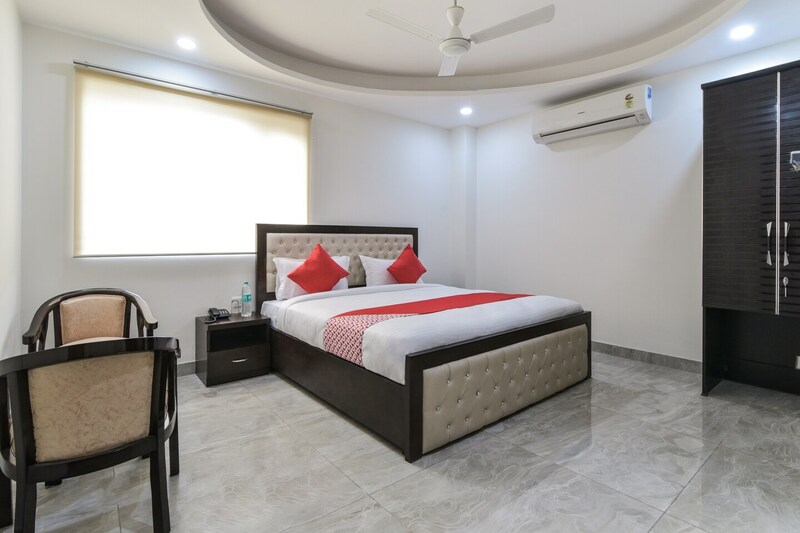 The hotel is situated next to Apex Hospital and is close to Rashtrapati Bahwan, Gurudwara Bangla Sahib and Connaught Place. Special feature/ USP/ whats special The hotel offers a kitchen for guests to prepare quick meals. Amenities The hotel offers amenities like free Wi-Fi, AC, TV, and power backup. Whats nearby The hotel has a great selection of restaurants \ like Gianis , Bikanervala, Chocowell, Kashio Ram Chole Kulche Wala, Green Chick Chop, Tandoor N Grillz, Foodies Paradise, McDonalds and Smokin Burger.